One of my favorite ways to use a die cut phrase is to use a portion of it combined with part of a stamped sentiment. It's fun, chic and trendy! 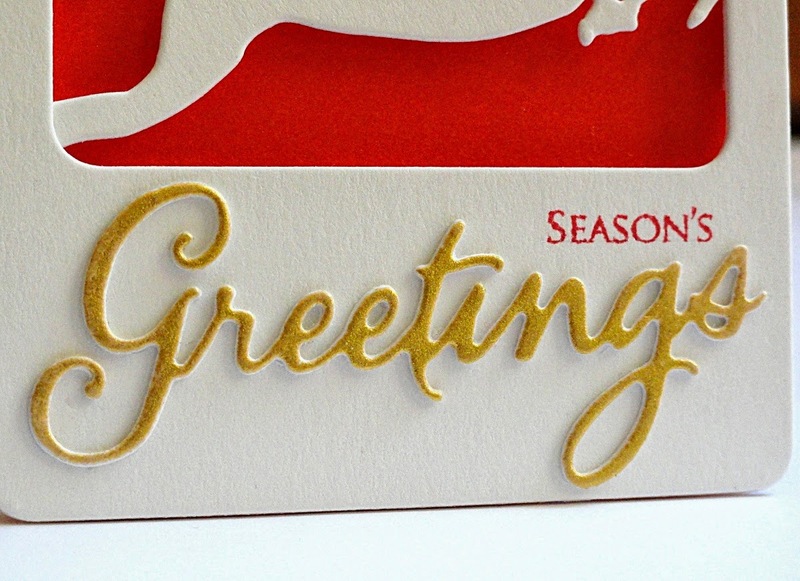 Two die cuts of "Greetings" from Penny Black's Creative Die set World of Wishes were layered on top of each other to create a thicker embellishment and then pounced with a Delicata Golden Glitz ink pad. (The rich, golden hue makes it my favorite gold ink.) 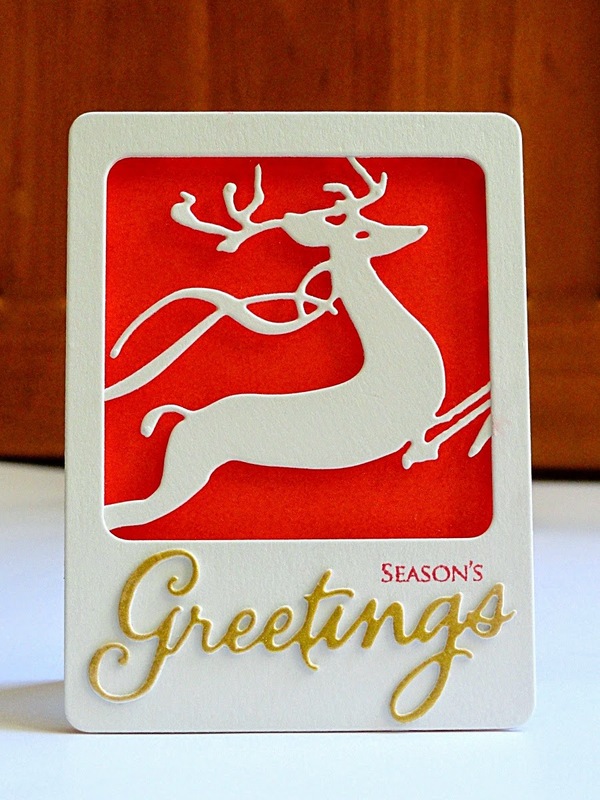 A small stamped "Season's" from the transparent set Joy Filled in Love Letter Memento adds the chic contrast. This Penny Black Polaroid die cut frame is perfect for displaying art in the open window with a fantastic space at the bottom to add a greeting. I took advantage of the open frame to create a faux laser cut image. 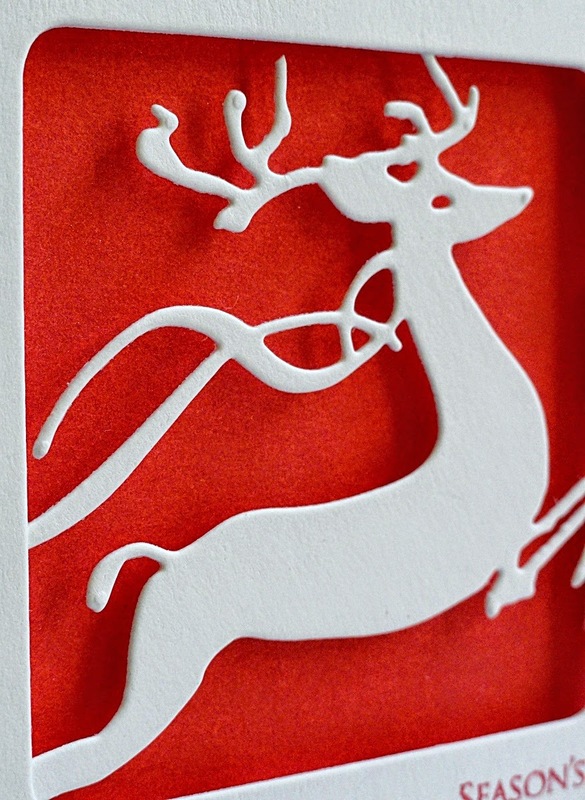 By nestling a die cut of "Leap of Joy" between two Polaroid die cuts and then trimming away any overhanging portions of the leaping deer, I was able to produce the illusion that this design was laser cut from one piece of cardstock. A backdrop of Coral Reef Mix & Match cardstock added to the festivity of the theme while also keeping the design modern and fresh. 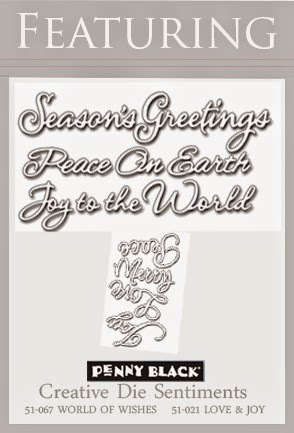 If you would like to download a pdf containing the complete instructions and supplies for this card click HERE. The double delight of Penny Black Pairs continues next week with a "berry happy" stamp design.